Adam was human – this explains it all. He did not want the apple for the apple’s sake: he wanted it only because it was forbidden. So said Mark Twain, author and humorist. Thankfully, Bull & Stein’s Fruits Céramique apples are far more accessible – in fact, their crisp forms and brilliant colours are an invitation in to the illustrative world of Brazilian artist Lisa Pappon. Lisa’s apples are made with love and perfection, and reinterpret one of the most symbolic fruits shared by global cultures. In the Bible, the apple is the forbidden fruit found within the Garden of Eden. In Arthurian and Celtic folklore, the apple tree is sacred and grows bountifully on the island of Avalon without cultivation. And so with these origins, Lisa Pappon’s ceramic apples speak to many, while remaining iconic pieces of décor for your home. 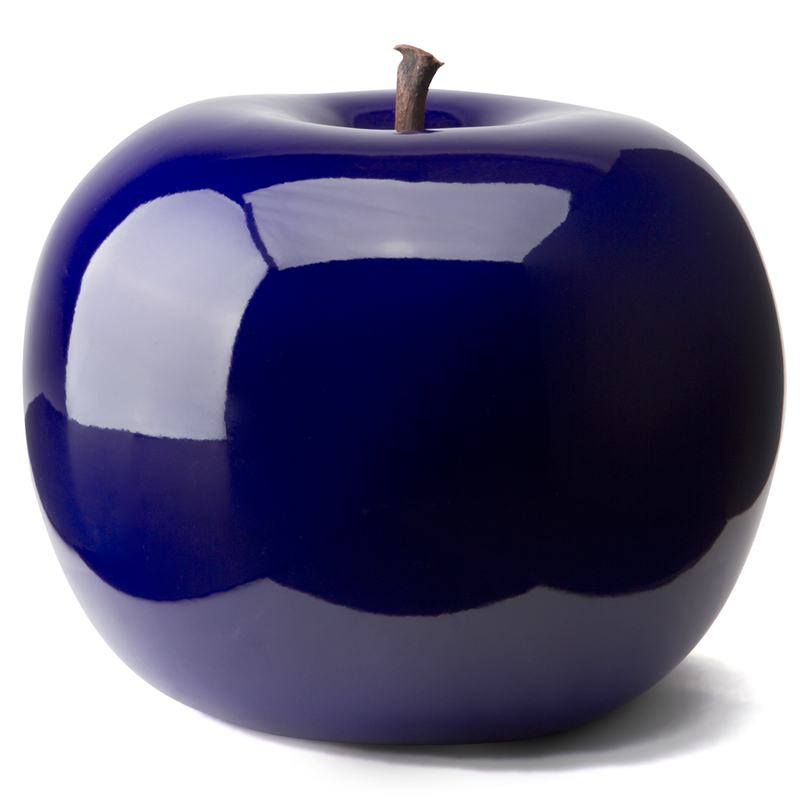 Handmade from ceramic and finished with shimmering glaze, these apples have appeared in galleries around the world, and can now be plucked from their Bull & Stein tree to take home as a memorable piece of art. Designed by Brazilian artist Lisa Pappon for Bull & Stein. Finished with a glossy glaze. Rubber stoppers on underside prevent the Apple from scratching tables. As each Apple is made by hand, yours may differ slightly from that pictured above.